Well boys, it's that time of the year again. I got my no-quota liscense, and started a couple of baits, and one has been hit within 24hrs of starting it up! And it's only 1/4 mile from my front door. Sweet! 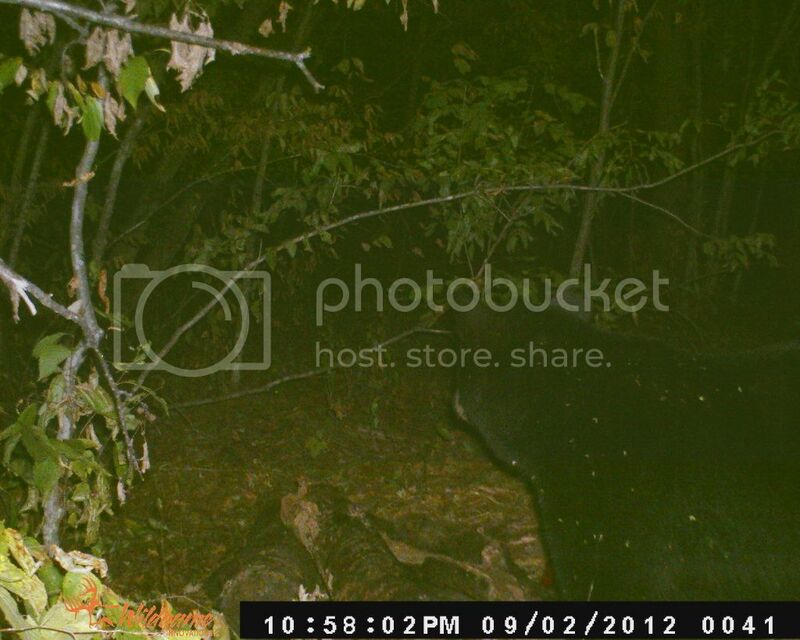 So I have a trail cam on it now and should have some pic's soon enough. 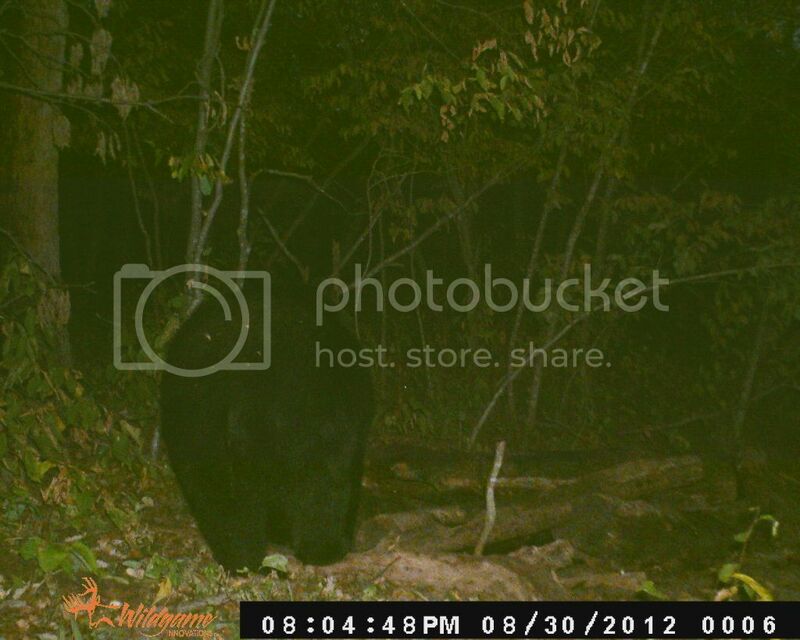 The cool evenings have the bears on the move right now. Hopes are high this year with the dry weather this year. OK I will spare you the warm weather, acorn falling, mass berry crop spoiler alert! Around here we are already seeing the acorns drop, but not many, the berries are almost a non-factor, and many apple trees have very few apples. 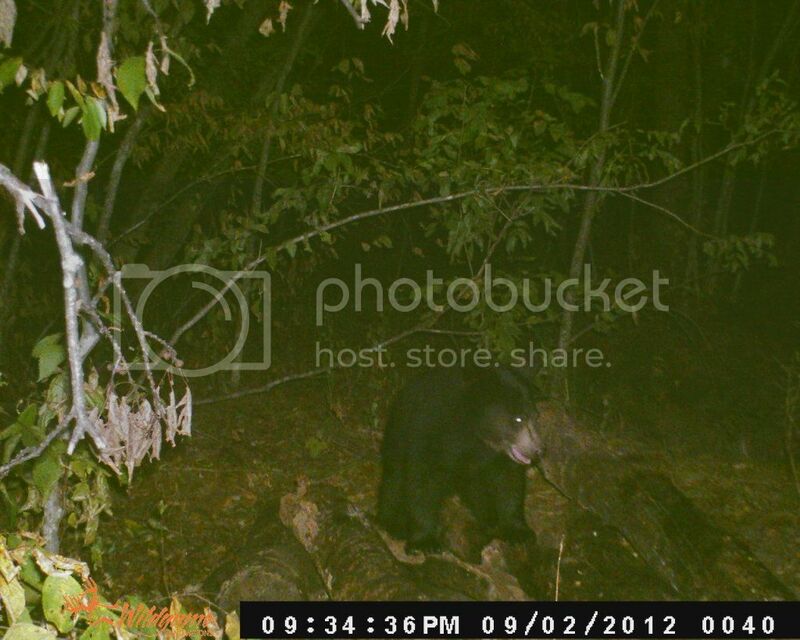 The late freeze hurt a lot of these late season foods for the bears, we will see how things pan out! Are you saying things are different up in your neck of the woods? This heat wave appeared just like a bad magic trick! UGGG! 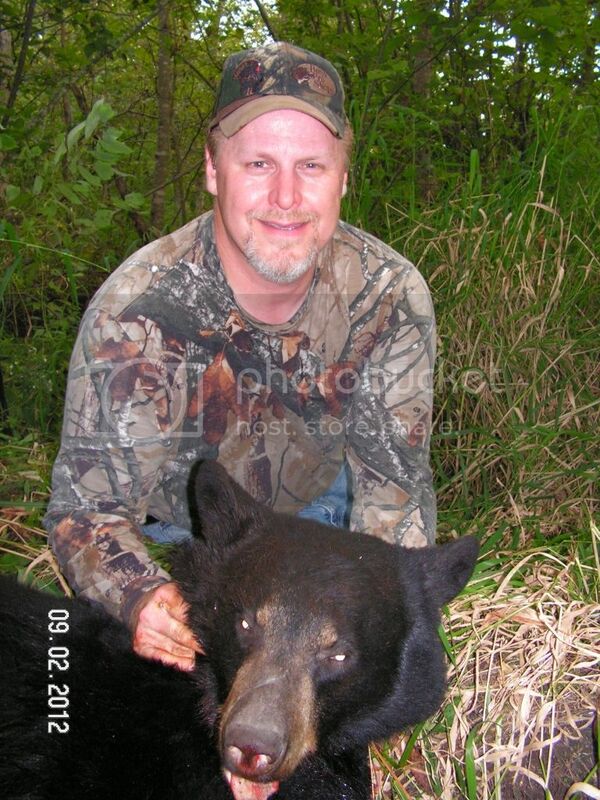 But the bears are hungry, and keep showing up despite the heat....I've been hunting this one for about 3-4 years now...maybe this is the year! Maybe not...keep ya posted! 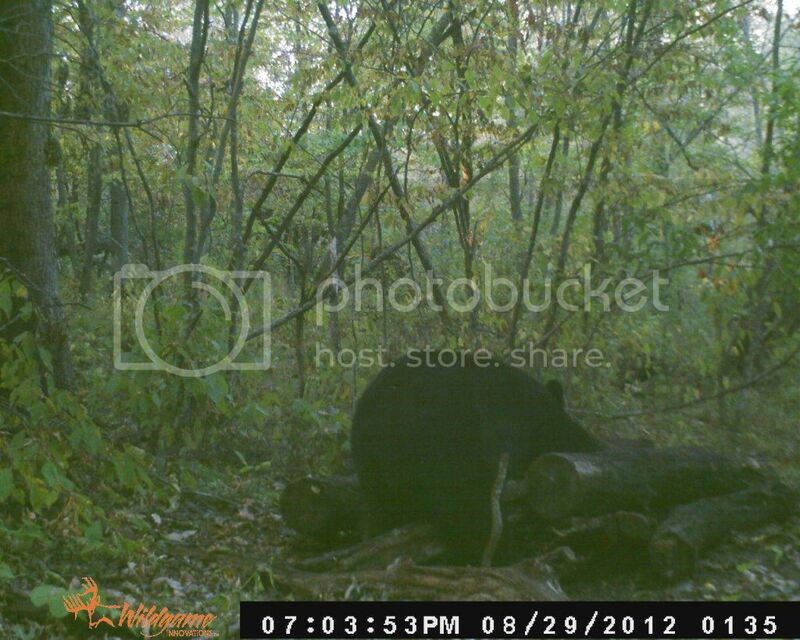 Happy Bear Opener everyone!!! I had a good breakfast this morning in bear camp, "my kitchen", but I was pretending it was way up north anyway. Anticipation is high, I'll keep you all posted later, heading out at 2pm to torture my arss in a treestand and feed the mosquitos! Good luck to anyone else out hunting and be safe! Opening day was a bit disheartening. The weather was perfect, too warm, but light winds from a good direction for me. So things looked good...I had a small bear come in at 6pm for about 45min, cute sub-adult that mom just kicked to the curb for the fall denning season. He needs a few more years before he qualifies for joining me for dinner. The problem came when I heard a big gun go off not far away, 615 while junior was there, uugg, my heart sank! My guess is that someone got a bear maybe 400-600yds away, which is wasy too close for my comfort, and likely a good bear since it was shot on opener, too early to not be picky, and you guessed it, no 7pm showing or 8pm showing, my parade ended with the little guy! Man, it just doesn't seem to matter where I go, I just can't hunt be myself, I swear, I could move to Alaska, and someone would be behind every rock! Back at again tonight, there are a lot of bears out there, I just need one to make a mistake. Here's a photo of jr. 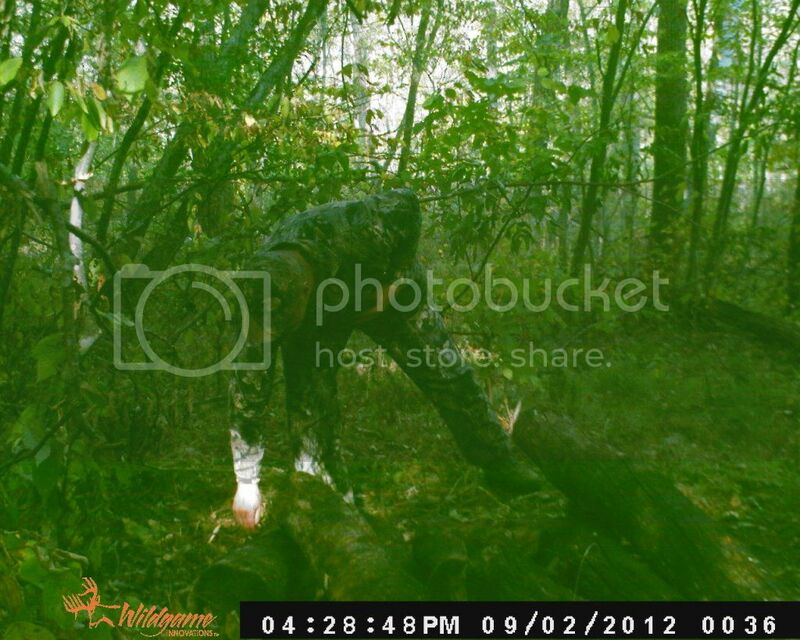 Here's the rest of the story...Got into the stand at 2:30pm Sunday. It was hot, humid, and windy, I didn't have high hopes! I was going to be miserable for at least 3-4 hours before it cooled off or the bears started moving....so I thought, nothing could move in the dry leaves without making a huge racket, except for that nice bear standing to my left at around 4:30pm, how they get that close without being seen or heard will always amaze me!!! She came into the bait from straight downwind, nose in the air, she knew something was up, I figured that I wouldn't have that long to make a shot, so as soon as she gave me one and I took it, I didn't like what I saw, I hit her in the bottom 1/3 broadside, with the downward angle I figured that I one lunged her, and I was right, maybe I should have been more patient...who knows, maybe that was my only chance, I called a friend and he and his son came to help, 600-800yds later through swamp, thick forest, and deep grass we found her, still doing her death moans, pretty scary, then the epic drag out through deep grass and such, and sled grabbing roots and sticks, I guess I'm in a lot worse shape than I thought! UUGG! We finally got out of the woods around 11:30pm. Legs all cramped up and totally exhausted. Thank God Kevin and Arron were there to help! Meanwhile, while we were dragging her out, 2 more bears came in to the bait, the last is the real big one looking in our direction. Wow!!!! The sow dressed out at 175, just under 6' long. 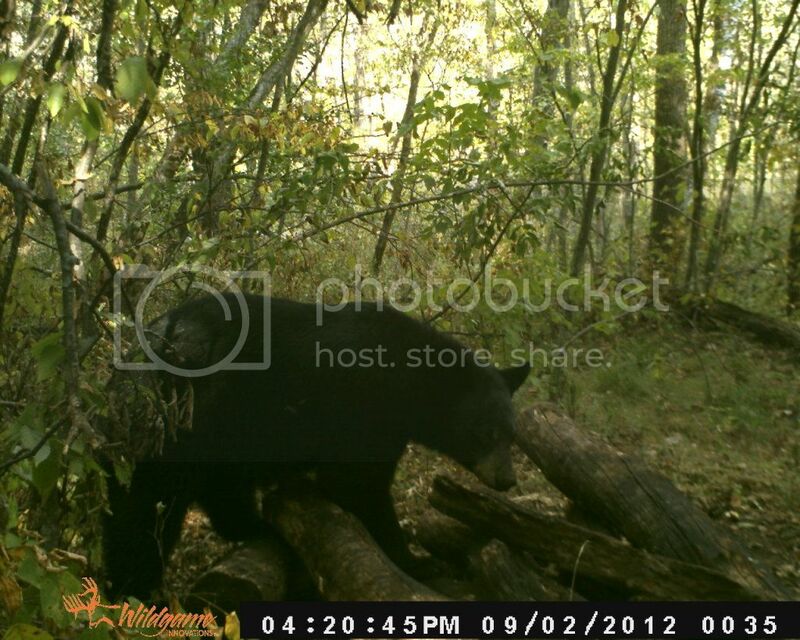 A very nice no-quota bear! 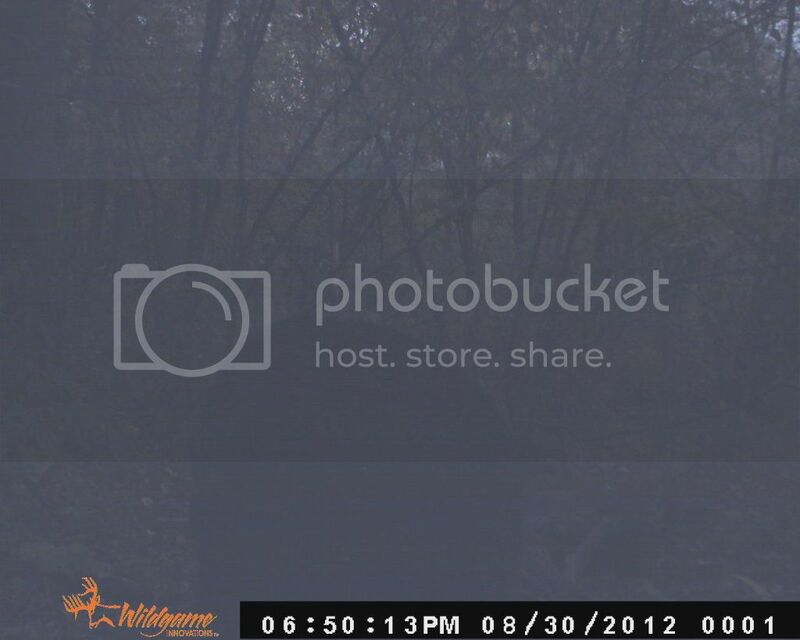 Notice the time stamps on the trailcam photos! 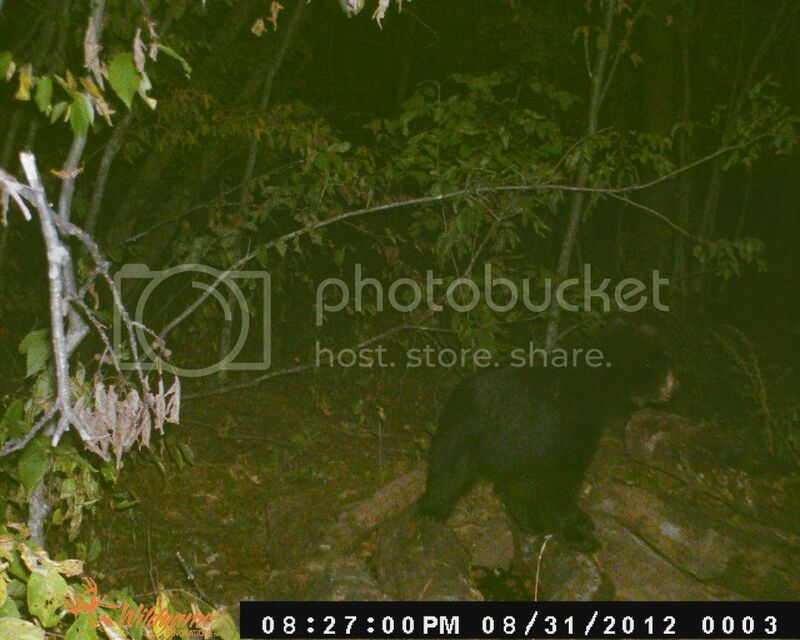 My bear as she came into bait! Me picking up my arrow! Little guy on the bait while we were still dragging! 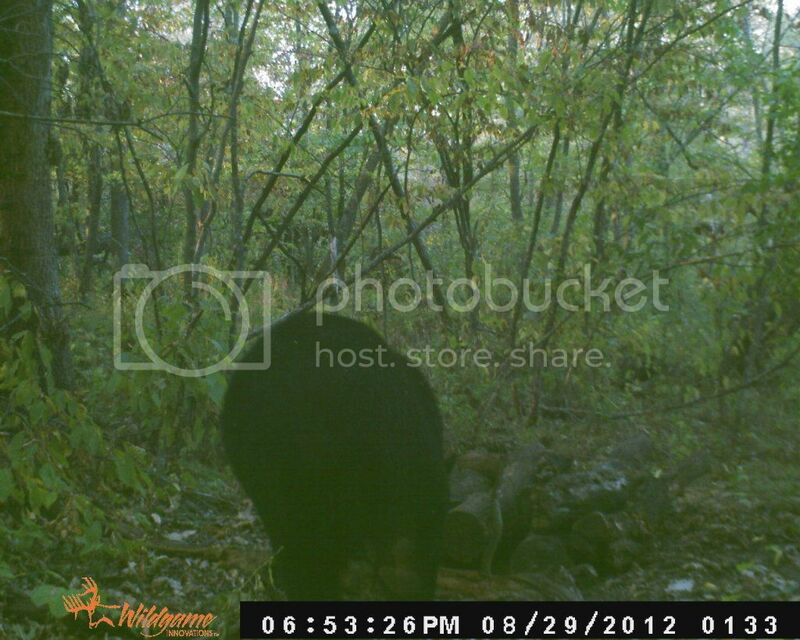 Big one looking in our direction from bait!!!! This is great! A good feeling of acompishment! Sounds like a tough drag and find.